So many scenic drives in Montenegro, so little time! When you come to Montenegro, I do recommend hiring a car. It’ll make your life easier when getting around and you’ll be able to make the most of your vacation by being able to see and do more while you’re here. You can find out more about renting a car in Montenegro here. So, where then to go with your rental car in Montenegro? I’ve compiled this list of the most scenic drives in Montenegro for you. The drives are all easy and accessible from wherever you’re staying. As you might know already, nothing is very far in this small country. Make a note of these and enjoy the Most Scenic Drives in Montenegro! The drive around the whole Bay of Kotor, from Herceg Novi to Kotor (or reverse) is a stunning one. The drive takes you along the seaside right around the butterfly-shaped bay. There's no shortage of photo ops and places to stop - from seaside restaurants to UNESCO protected towns such as Perast. 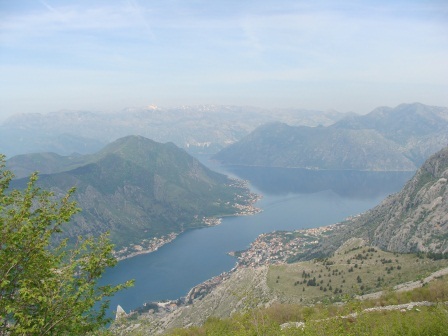 The drive from Kamenari to Kotor is 30km / 18.5 miles and is a Montenegro must-do! 1. You can carry on around the seaside road to Lepetane where the ferries dock and return to Kamenari via the ferry. This road takes you through the villages of Muo, Prcanj and Stoliv. 2. You can head to Tivat via the tunnel and drive to Lepetane from Tivat. Commonly referred to as the Serpentine Road, the road that leads up to Njegusi and Lovcen National Park from Kotor really is worth the drive. There are 25 hairpin turns - so be prepared to go slow, but the views are absolutely magnificent. 25 hairpin turns to get here... but worth it! Interesting fact: On the way up, look out for the shape of and M in the road - you can see it from above. The architect who designed the road was in love with a woman whose name started with M and he built the letter (completely unnecessarily!) into the shape of the road. Very romantic! But we don't actually know whether he managed to win her heart with the dedication! To take this drive from Kotor, you'll take the right a to Skaljari when you're heading out of Kotor towards Tivat (via the tunnel). This right turn is just before the tunnel and there's a Vuk petrol station on one corner and the town graveyard on the other. Follow this road and it will lead you up to the start of the serpentines. 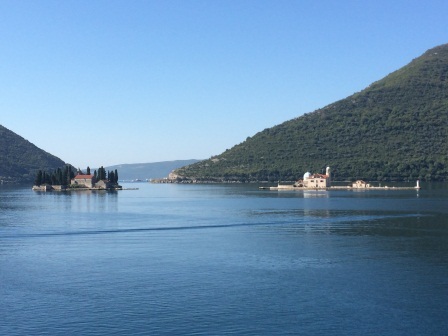 The drive from Kotor to Sveti Stefan has been named one of the top 10 drives in the world, and it really is stunning. A large portion of the drive from Kotor to Budva is unimpressive to be honest, with no seaviews and a lot of industrial land. That all changes however just before Budva. You'll come to hill above Jaz Beach and from there it's seaviews and stunning vistas all they way to Sveti Stefan. 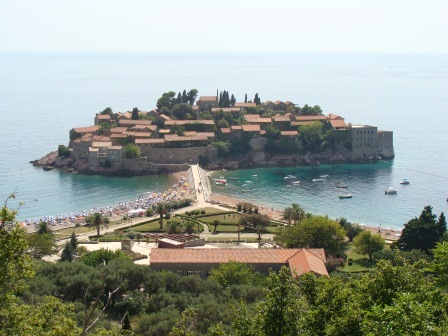 Of course, a view of Sveti Stefan from above is the absolute highlight and another Montenegro must-do! From anywhere along the coast to Lake Skadar you'll be treated to gorgeous vistas. First you'll get the stunning seaviews along the coastal roads and then you'll be treated to the lake views as you cross the bridge over the lake. When you cross this bridge you'll see the lake on both sides of you with the unique lake boats floating in the water. 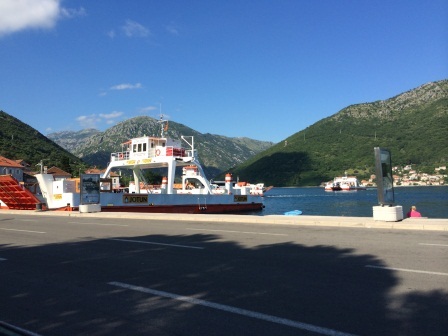 If you stop in Virpazar, make sure you carry on across the bridge to make the most of the views - there's also a visitor's centre there with some very nice displays about Montenegro's national parks and cultural history. Kolasin lies on the edge of Biogradska Gora National Park and is a really popular spot winter and summer. In winter it's the ski capital of Montenegro and in summer it's a great spot to relax and do some walking. We spent a really nice long weekend in Kolasin just walking, eating and relaxing. Have you done any of these drives? We'd love to know what you think are the best drives in Montenegro... leave us a comment below!